The faucets, fixtures, and sinks in your home must be managed properly if you want your home’s plumbing system to function at its peak. The faucets and fixtures in your home determine how well the water in your residence is delivered to you, and it is important to take care of these fixtures for your family to remain healthy. At M.A.C. Stewart Plumbing we deal in both repairs and installations, giving you options to replace outdated units or to totally revamp your kitchen or bathroom. 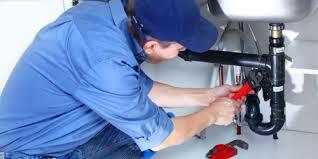 Call us for plumbing repair. How does hard water affect your family? Hard water is very difficult to drink, and it can also lead to health issues. Hard water can cause damage to your sinks and showers, as well as your dishwasher and washing machine. All metal components of these systems are negatively affected by hard water, and will eventually become discolored or corroded. It is a good idea to have a water softener installed in your home, so that you can avoid hard water damage. Replacing just a few fixtures can also change the way your water tastes. In addition hard water requires you to use more soap when washing your clothes and dishes, it can also irritate your skin and scalp when taking a shower. When should you replace your faucet or sink? Your faucet or sink needs to be replaced when they become too old or worn out to work properly. Your sink may have cracks, and your faucet may be rusting. You will notice that these items are not looking the way they used to, and you cannot do anything to improve their appearance. The investment in a new sink or faucet will prevent you from spending more money on repairs that continue to add up over time. How can you prevent leaks? The leaks that occur around your faucet and showerhead are often due to a poor connection to your water pipe. There is always Teflon tape at the connection, but that tape will wear down over time. A professional plumber needs to check the fixture, replace the tape, and test the pipe for any leaks. Your faucets and shower heads should also produce a proper stream of water at a pressure that is suitable to your liking. You cannot abuse your faucets or sinks and expect them to stand the test of time. Most of the problems that occur with these units are due to extended use and improper maintenance. You should always look out for rust around your faucets and shower heads. The rust can be cleaned before it cuts into your pipe. You should also check for small leaks in your fixtures, and upon spotting one you should have it repaired as soon as possible, before it turns into a major issue, which will require more costly repairs. In trying to keep your faucets and sinks working properly, you need to keep in mind that hard water does the most damage. However, even if you do follow proper maintenance guidelines and handle your hard water problem, other issues are still likely to crop up. That is why it is important to have a trustworthy home service company that you can call anytime for any problem. Regular service visits from trained professionals can help keep your home’s plumbing fixtures functioning properly and your family safe. It is incredibly important to know how to spot problems with a water line before they become major issues. Upon noticing any problems you should contact a professional right away. Without knowing what to look for, water line problems can spiral out of control leaving homeowners with serious issues far beyond their control. 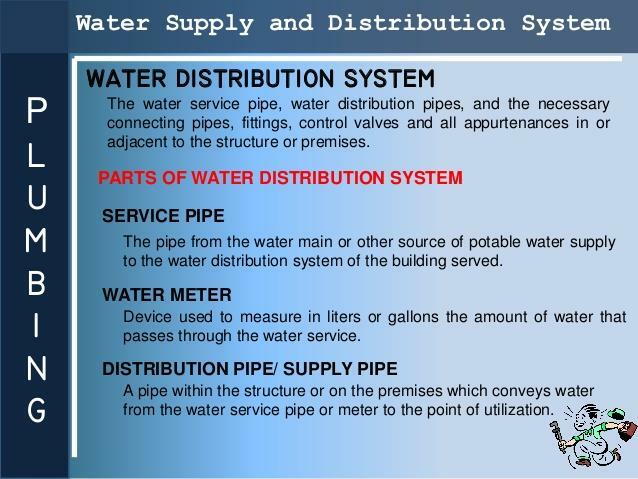 The information below can help you to determine whether there is a problem with your water line and what to do in the event of an incident. To look at reviews from other customers on the valuable services we provide, click here. What are common problems associated with water lines? Three of the most common problems associated with water lines are plugged lines, leaks, and hard water. Plugged lines often come about in drain lines, where any type of obstruction can enter. Plugged lines can also occur in the water lines themselves, preventing them from distributing water to your home. This problem is especially common if the pipes are old and corroding. Leaks also happen when there is excessive corrosion and the pipes begin to break down, this is very common in pipes that were not installed properly. Hard water is created by a build-up of elements, like calcium and magnesium in you water, and it can quickly cause lime scaling inside of your lines or in the hot water heater, which can lead to other, more serious problems. What are some signs that you need repairs? The first sign to look for to determine whether a repair is needed is the presence of hard materials in the water. If the pipes are breaking down or if the lines are excessively plugged, you may notice slight discoloration. Another thing to look for is a change in the smell or taste of the water. Finally, if the lines are leaking, you may see evidence of that leak inside your home. If the lines leak outside of the home, you might never see the water, but you will likely notice a rise in your water bills. What are some signs you need replacement? While repairs can be done in the above situations, the line may also need to be entirely replaced if the diluted solids become too prominent, meaning that there is a lot of debris in the water and the pipe is no longer functional. Furthermore, the line should be replaced if a leak is extensive and water is being lost at an exponential rate. Finally, if you have older clay pipes, the lines may need to be replaced and repair work will likely follow, as attaching new pipes could crush the old ones. When do you need high or low pressure lines? In most cases, people do not have issues with water lines that are operating at an extremely high rate of pressure, but you may need low pressure lines if the force of your water is too powerful, which can damage fixtures inside your home and make the water difficult to use. 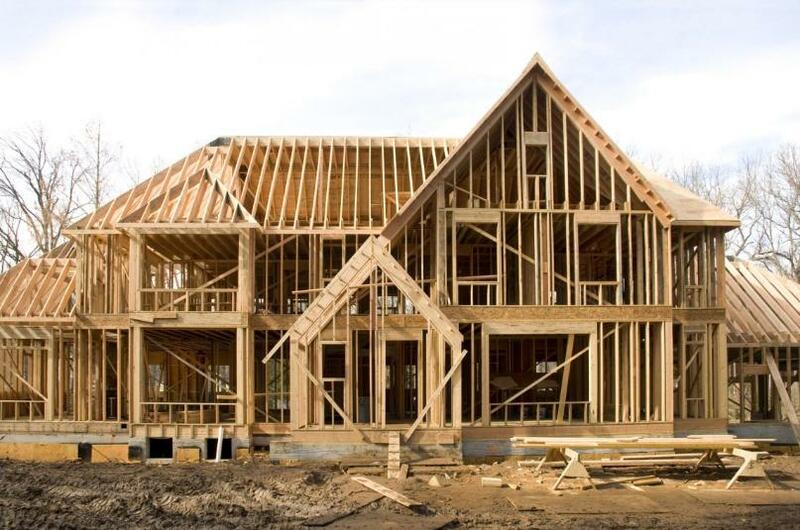 On the other side, you may need high pressure lines if you have a large home or if you are adding an addition onto an existing residence. DO NOT dispose of potato peels, eggshells or coffee grounds in garbage disposal. These foods turn into sticky sludge, creating a pipe clog. DO maintain and freshen your disposal by grinding pieces of lemon peel and ice cubes. DO treat your disposal monthly with vinegar and baking soda to remove buildup and bacteria. Pour in ½ cup each and let the mixture sit in the disposal’s hopper chamber with the unit turned off. Once foaming subsides, rinse disposal and drain with running water. Hydronic heating uses flexible plastic tubing to circulate hot water or other liquid beneath your home’s flooring. The tubes are integrated into the concrete slab under your house or between the floor joists. In this system, heat radiates uniformly under the floor, heating the surface and/or supplying baseboard heaters or radiators to heat the rooms of the house. Liquid for your radiant system is heated in an energy efficient boiler and flows into a plumbing manifold connected to a thermostat. Liquid heated to the proper temperature is pumped and circulated into a closed loop system and directed to the heating zones of your home. As liquid cools, it is reheated in the boiler and recirculated. Energy efficient for long-term cost savings on monthly utility bills. Added comfort of walking across a pre-warmed floor. Consistent level of heating throughout the home. Zone control included in hydronic systems enables the flexibility to heat specific rooms to desired temperatures. The boiler also fills the home’s hot water needs. Installation costs may be cheaper than other heating systems, eliminating the need for multiple heat sources, exhausts, electrical hookups and fuel supplies. Eliminates the need for a bulky duct system, which can accumulate dust and mold. However, you might need ducts for a central A/C system, unless you use a ductless mini-split cooling system. Clean heating with less distribution of airborne contaminants and dust than forced air. Can combine different heat emitters like floor, radiator and baseboard in the same home. Pump or boiler: Malfunctions possible if not properly maintained. Boil-over: This can occur if the system runs low on water or controls fail. 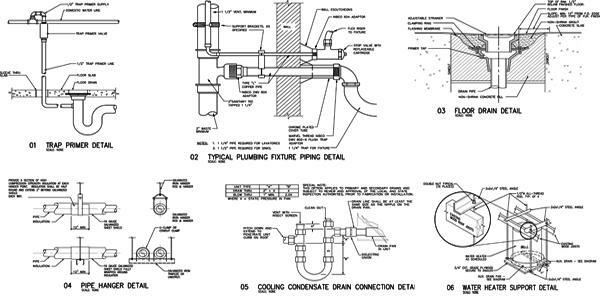 Pipe leaks: Leaks can be avoided with proper professional maintenance. Pipe freeze: If you lose power, freeze-up is a possibility. Depending upon climate considerations, anti-freeze may be used as a preventive measure. Neglect of maintenance: Regular inspection and maintenance are crucial for a healthy hydronic system, including boiler, pumps and controls, to maintain performance and avoid breakdowns. Sump pumps re-route water away from your home to protect your basement and crawl space, sending the water to someplace where it won’t cause damage. Your main sump pump is often hardwired into your residential electrical system or plugged into a wall outlet. Ideally, sump pumps are equipped with a battery backup to make sure the pump works when it is most needed, like during a severe rain storm when the power goes out, to keep pumping water away from your house. The battery backup also kicks in to work alongside the main sump pump. For example, if the main pump’s sump pit overflows or can’t keep up with the water flow, the batter helps the pump work. Sump pumps are available in pedestal or submersible models. A pedestal sump pump is mounted above the sump pit, providing convenient access for service and periodic testing. A submersible sump pump sits in a sump pit (or well) and is basically out of sight. The well and sump pump and sump pit together serve as the collection basin and water eliminator. The plastic well is installed inside the sump pit, which is dug into the basement floor at the lowest point. The sump pit typically extends to a depth of about two feet or more and acts as a catch basin for the excess water prior to pumping. During a rainstorm, ground water from around your home's foundation is guided into a bordering drain system. The water flow is directed into perforated pipes and diverted into the sump pit, well and sump pumps. The sump pump(s) is/are triggered by a float switch when the water reaches a pre-set level. The sump pump then removes the water by pumping it to a nearby storm drain, dry well or other outdoor area. Most sump pumps are equipped with battery powered water level alarms to warn you of potential flooding if the pump is malfunctioning or overwhelmed. Test your sump pump regularly to make sure it’s ready for the next downpour. Pour a bucket of water into the sump pit and make sure it removes the water and shuts off. The sump pump should be cleaned and inspected annually. Your home’s combustion appliances include furnaces, fireplaces, stoves, clothes dryers, water heaters, boilers and more. These appliances can produce harmful PICs (Products of Incomplete Combustion) like carbon monoxide. To protect your home against explosions or fire and to protect the occupants from CO poisoning, adequate ventilation is a necessity. Exhaust fans are additional examples of necessary venting that should be used in the shower area, cooking area and garage. Exhaust fans help clear the air of moisture and fumes, keeping down the humidity level in your home to increase your comfort. Fans also improve indoor air quality, dissipate odors and help prevent mold growth. Natural air convection venting is common but flawed. Natural venting uses a standard Type B vent to draw air from inside the house for combustion. Gases created during combustion naturally rise up through the flue because they are hot. Air exits through the vertical vent pipe expelling the combustion air through the roof. The danger: back-drafting. With natural vent pipes, indoor air can easily pull toxic combustion gases back indoors. Direct venting is safer. It uses two pipes of different sizes, one within the other. The outer pipe draws in air for combustion. The smaller, inner pipe vents exhaust fumes to the outdoors. Pipes can be set horizontally to vent through a sidewall or vertical piping can be installed to allow venting through the roof. A chimney is not needed for either horizontal or vertical configurations. Direct vents also decrease environmental pollution and help preserve healthy indoor air quality. Odors: Cooking or moldy bathroom odors may linger due to inadequate exhaust fan ventilation. Mold growth: Visible mold and mildew signal excess moisture in the home. Humidity: Moist indoor air may mean your home is not properly ventilated. Headaches, fatigue or allergy symptoms: Can indicate poor indoor air quality. High energy bills: Improperly vented appliances can't operate efficiently, wasting energy. Poor attic ventilation makes your home harder to keep cool in summer. Call us Plumbing professional to eliminate these worrisome, nagging plumbing problems. We’re easy on your budget and we respect your schedule. We’ll set up an appointment to do our work based on your availability. Our plumbing experts arrive on time and fix it right the first time. Our plumbers are skilled, courteous and friendly—and they clean up after themselves. we believe that plumbing repairs shouldn’t interrupt your life! Give us a call and let usgive you peace of mind, knowing that your plumbing problem will soon be history. Even slow and small faucet drips can send your water bill through the roof. we can upgrade your kitchen sink faucets to eliminate leaks, install your choice of faucet style and make working in your kitchen just a little more convenient for you and your family. Updating older or out-of-date bathroom fixtures can increase your property value and help avoid future damaging leaks, floods or breakdowns. New fixtures can also provide a nice style upgrade to your bathroom. Hot water is an essential in your showers, bathtubs, kitchen sinks, dishwashers, and washing machines. When you count on hot water to be there every time you need it, proper water heater installation is a must.